As most people who follow me on Twitter are aware, I am not a huge fan on long-duration cardio at all. In fact, you could probably say without much hesitation that long-distance cardio and me don’t exactly see eye-to-eye. But that’s not to say I don’t believe in cardio because it’s certainly a must-have in this game. Diet and weight training are certainly crucial, but your cardio must be just as important in the equation if you care at all about being lean. The problem is that a lot of times people are lacking motivation when it comes to cardio. Let’s be honest, walking on a treadmill for an hour is about as exciting as a marathon debate on C-Span 2. That’s why when I post my fat burning workouts, I make sure to keep it fresh so it doesn’t get stale. You’ll never see, “Walk on a slight incline for an hour,” as my fat-burning workout of the day. I’m mixing methods, keeping it fresh and, most of all, keeping it intense. One thing I’ve really grown to like is implementing box jumps, and, yes, box jumps can be used as a great tool to burn fat. Plus, they’re great for performance, which means you can improve your athletic ability while burning fat and getting lean at the same. So, yeah, for just a wooden box it’s a pretty good tool. 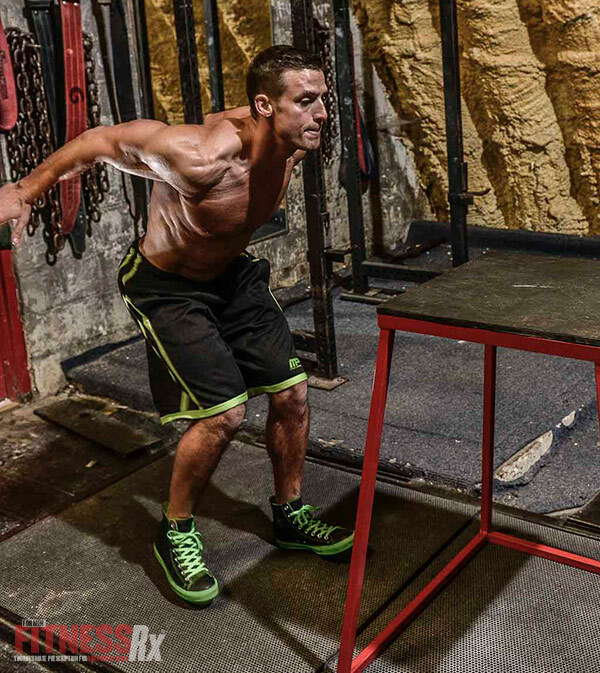 Before I detail some great box jump fat burning workouts, I want to clue you in on how beneficial this movement can be when used to reach a certain goal. I’ve always been a big basketball fan and have always admired the athletic ability that goes along with the sport. With that, jumping was always something of a priority for me and at just 5-foot-11, it was always fun and exciting for me to be able to dunk a basketball. At 34, I can still throw down an alley-oop on a good day, something I definitely attribute to all my time spent box jumping. 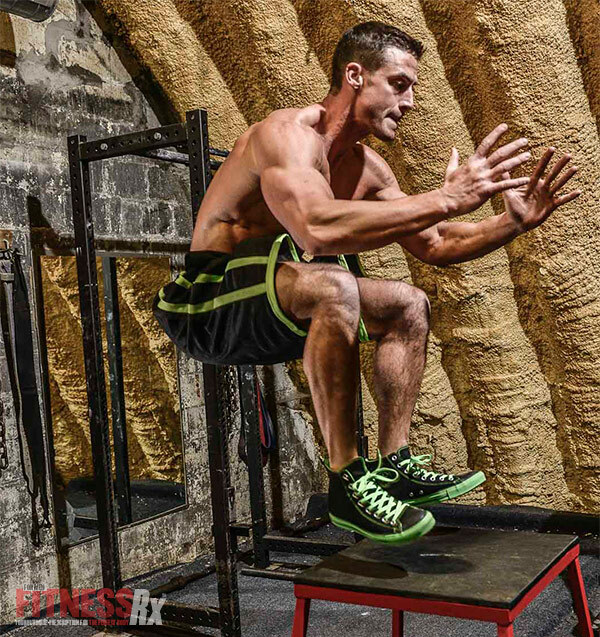 I’m not saying windmill dunks are in your immediate future, but here’s two great and quick box-jumping workouts and two performance-based jumping workouts that will certainly help you shed fat and improve that cardio, all without having to get near the dreaded treadmill. *Perform two sets with 2 minutes rest in between sets.